First published Friday 22 August 2014 by Mark McKay, Reporter covering Headington and Marston. A SEVEN-year saga over lights in a community park appears to be at an end after extra cash was approved for the project. Oxford City Council revealed it expects the lights to be installed in Marston’s Croft Road recreation ground by the end of next month after a seven-year wait. The plans have been part of a joint venture between the city council and Oxfordshire County Council to revamp the recreation ground. If the work goes ahead it would mean the end of a project which was first proposed in 2007, according to independent city councillor for Marston Mick Haines. He said: “It has been a long and hard struggle but people will really appreciate it. Marston has been left behind for many years. We have been seeing other places getting these things done but this is a step in the right direction. Plans to install the lights in July 2009 were scuppered when residents complained about the size of the 16-feet-high posts and how close they were to homes. In 2010, Mr Haines delivered a petition signed by 1,205 people to 10 Downing Street in an attempt to move the project forward. Last year the county council installed a new cycle path in the park, but the city council is in charge of installing the 12 lights to illuminate the path and the playground.The work will cost £32,000. City council spokesman Chofamba Sithole said delays acquiring the land and funding problems had held the project up. He said: “As with any construction project, there is always potential risk of the timeline changing as a result of external factors that may affect the final delivery date, but we do not at this point anticipate any significant delay. I am writing regarding Stuart Cooper’s letter (July 9). I also think the council should contact Mick Haines and explain why the plaque on the bench he donated to the people of Marston was removed covertly. He also deserves an apology for their unprofessional behaviour but I fear this will not be forthcoming. To my mind, they are besotted with their own self importance verging on pettiness. Well done, Mick. I very much appreciate your thoughts and work for the community. May I add, your bench helps make up for the magnificent pink-bloomed tree that they hacked down a couple of years ago. COUNCIL bosses have been accused of “childish” behaviour for removing a bench’s plaque just days after the seat was installed. Independent Oxford city councillor Mick Haines was shocked to have the plaque returned to him by post. It was accompanied by a letter from Oxford City Council, saying they were not “generally” allowed on street furniture, the councillor claims. Mr Haines campaigned to have the bench installed at the junction of Croft Road and Marston Road last month. He now wants the city council to clarify when plaques are, and are not allowed on benches. Mr Haines said: “I got a letter saying that you can’t put a plaque on street furniture which is a bit childish – I don’t agree with it. The bench was installed on Saturday, June 21, costing £500 from Mr Haines’ annual £1,500 annual community fund. But 11 days later, the small plaque, inscribed “Presented to the people of Marston from councillor Mick Haines”, had been removed and sent back to councillor in the post. Mr Haines said: “I could not believe it. I don’t understand the council’s position, I think I was just picked on. 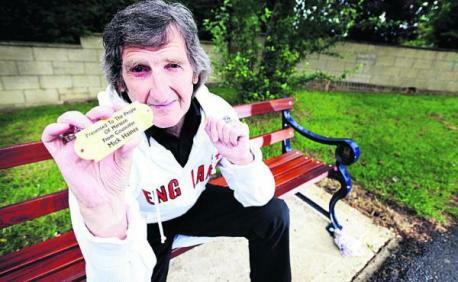 Mr Haines said he hoped the plaque could be returned on the bench. He added: “It’s not a great big massive one. It’s just there to let the people know I had given the bench to them. Oxford City Council spokeswoman Louisa Dean said: “We rarely have plaques on street furniture within the city. “We removed the plaque on the bench in Marston as it was funded by Oxford City Council money and not directly raised by the individual councillor. IT is nice to know that many members of the Marston community turned out to voice their local concerns to Councillor Mick Haines, at his council surgery. It was held at Mortimer Hall on May 2, 2014. There were in excess of 20 local people who made the effort to attend. RESIDENTS in Marston were disgusted to find sewage seep into their gardens for a fourth time this year. It took barely an hour-and-a-half for Declan Donovan’s garden to be completely flooded with waste water after torrential rain at the weekend. The 75-year-old had to leave for a week-long trip to Ireland yesterday, with sewage deposits still in his back garden. He said: “It is an inconvenience. “This is the fourth time since Christmas. Thames Water came to clean up the garden on Saturday. Mr Donovan, who worked in maintenance at Oxford University’s Clarendon building, was alerted to the flooding at 4.30pm on Friday. He claims it is the worst flooding he and his wife Valerie have seen in their 44 years living at their home in Croft Road. Neighbour Fred Turner was outraged at the mess. Mr Turner, 83, who lives in Old Marston Road, said: “It never used to happen. It is a nuisance and is getting a little bit worrying now. Mr Turner has called out Thames Water engineers four times to his property – on January 4, February 2, February 11 and last Friday. 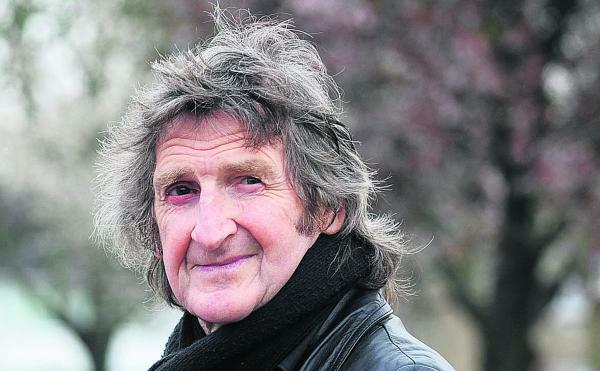 Independent city councillor for Marston Mick Haines said: “The smell was horrendous. Every time the rain comes, these same people seem to get it. “I don’t want to see a single house built until this is sorted out. I would like to see the infrastructure go in first at the Barton housing development. “Marston has flooded and raw sewage is awful. The smell was terrible and not only that it smells in other areas as well. Thames Water spokeswoman Sarah Sharpe said: “After the wettest winter on record ground water levels remain exceptionally high. “Unfortunately, this means that even a few hours’ worth of heavy rainfall can lead to levels in our sewers becoming so high that waste water, heavily diluted with rain-water, overspills from manholes. I would like to thank the manager Sharon, her team and the residents of Marston Court Residential Home for inviting me to open a new summer house in the grounds of their home. The summer house is for the use of residents and staff to enjoy. It was a happy atmosphere where residents, staff, relatives and I were made to feel very welcome. They provided refreshments for all and a raffle. There was enjoyable music that took some down memory lane, provided by Kev Reed and his son. Marston Court is a very important part of the Marston community and should remain so for many years to come. Mick Haines at the footpath in Croft Road recreation ground he has been campaigning to get floodlit. MORE than £12,000 is still needed for long-awaited lights in an Oxford park, leading to claims a community is being “left behind”. 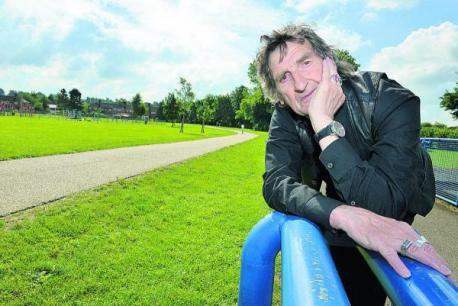 Plans have been in the pipeline to install lights at the Croft Road recreation ground in Marston since 2007, according to the area’s independent city councillor Mick Haines. He hit out after learning the authority only has £20,000 available for the project, which has an estimated cost of £32,000. Mr Haines said: “I’m fed up, because I have been told there’s £12,000 still to find on the budget for the lights. “It’s excuses. This is drag, drag, drag and the people have been left behind. “We’re always last to get new things. “People are asking me ‘when are we getting our lights?’. Plans to install the lights are part of a joint project between Oxford City Council and Oxfordshire County Council to improve the park. The county council paid for a cycle path last summer, while the city council is in charge of putting in the lights. The 12 lights are earmarked to go along a footpath through the park and to illuminate the children’s play area during autumn and winter evenings. They were supposed to be installed in July 2009, but work was postponed when some residents said the 16ft lampposts would be too close to their homes. Mr Haines then took a 1,205-name petition to No 10 Downing Street in 2010 as part of his campaign to get the lights installed. He added: “This is scandalous. They can’t find £12,000 for lights in an area which is a health and safety hazard. A city council spokesman said the authority was committed to completing the upgrading of the path. The council has bought land close to Rippington Drive so that the lights can be better aligned, completed the footpath and tendered for the lights. The spokesman said: “However, the detailed design for the lights has produced costs over budget. I WAS shocked recently to discover that a metal plaque that had been put on a public bench in Marston had been removed. It had been attached to the bench as a token addition to the Marston community. Mick Haines, the independent councillor for Marston had worked hard to have the plaque put there and was shocked when a friend informed him that it had been taken off without any consultation with the local residents. After some investigation it appears that Oxfordshire County Council had decided, in their wisdom, that the plaque should not have been put there without their permission as it was a public bench. So it appears that someone was sent down to Marston to remove it. How petty and ridiculous this world has become when it comes to ‘jobsworth’ councillors with nothing more important to do than to destroy local people’s efforts. Perhaps someone from the council could contact Councillor Haines and explain their reasons for its disappearance. AN independent city councillor has called for new measures to cut congestion in Oxford after carrying out his own traffic survey. Marston city councillor Mick Haines has recorded a rise in the number of vehicles driving through the area since 2012. Mr Haines, from Croft Road, counted 1,659 vehicles travelling along Marsh Lane between 7.15am and 10am on Monday. In his annual traffic survey, the councillor has recorded a steady rise in commuters using the road to travel to work at a number of different destinations, including the John Radcliffe Hospital and the city centre. 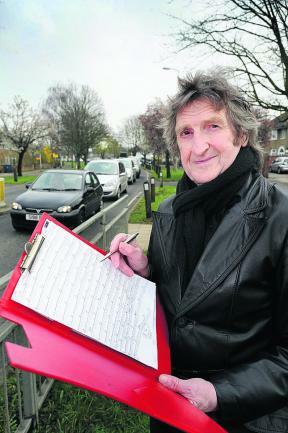 On December 12, 2012, the councillor counted 1,120 vehicles driving along the road. This rose to 1,474 vehicles on May 7, 2013. The councillor hopes that decisions are made to improve roads in the area before planning proposals for the Barton Park development are fully approved. Plans for the 885-home site, proposed by developer Grosvenor, are being finalised with the support of Oxford City Council. 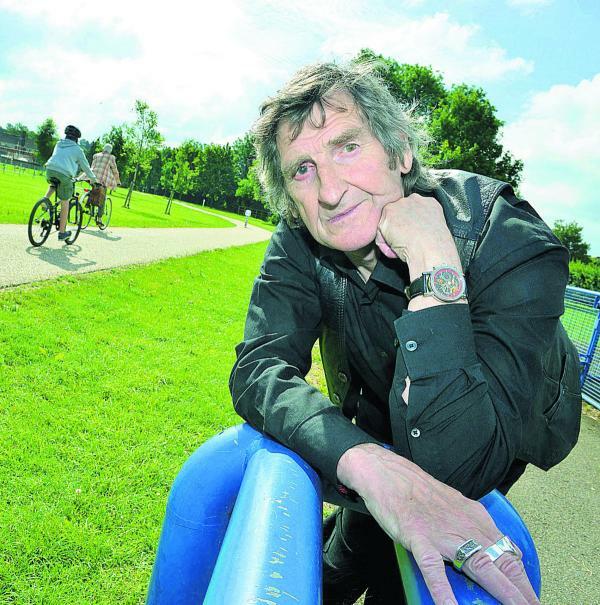 Roy Darke, Labour city councillor for Headington Hill and Northway, said: “I believe that the county council has done some modelling on the possible impact.